Poor oral hygiene can lead to health problems. So why not start your children on the road to happy teeth and a healthy body? It is never too early to start caring for your children’s teeth. Proper dental care should begin even before the first tooth erupts. Did you know that infants have a full set of fully formed teeth beneath the surface of their gums? You should gently wipe their gums with gauze or a damp cloth after feedings. The toothbrush you select for your child should have soft bristles and small heads. You can get them excited and interested in starting a good dental hygiene routine by choosing a fun theme or color. A study conducted by The National Institute of Dental and Craniofacial Research found that 42% of children under the age of 11 get cavities. Tooth decay is prevalent among children. It is caused by acidic or sugary conditions in your child’s mouth. To keep tooth decay at a minimum, you should start teaching them proper oral hygiene at a very young age and follow a good routine for them when they are too young to do it themselves. Fluoride strengthens the enamel on your child’s teeth making them less likely to decay. However, fluoride also comes with some dangers, especially for small children. If they get too much, it can cause white spots on their teeth. Be careful when choosing the brand of toothpaste for your children. Most of them are fluoridated. They also come in different flavors which might result in them swallowing too much. This should be avoided as it can be dangerous. You should only use a tiny amount of fluoridated toothpaste until your child is about two years old and understands that he should spit rather than swallow the toothpaste. Drinking water is fluoridated for three out of four Americans. If your drinking water does not contain fluoride, you should discuss it with your child’s dentist. He may suggest applying it directly to your child’s teeth to make sure he is getting enough. As adults, we know that not flossing our teeth will lead to gum disease and other more serious dental issues. But flossing is an integral part of good oral hygiene for children as well. Once your child has teeth that are touching each other you can start flossing for them. When they are about eight years old, children are usually capable of doing it themselves. 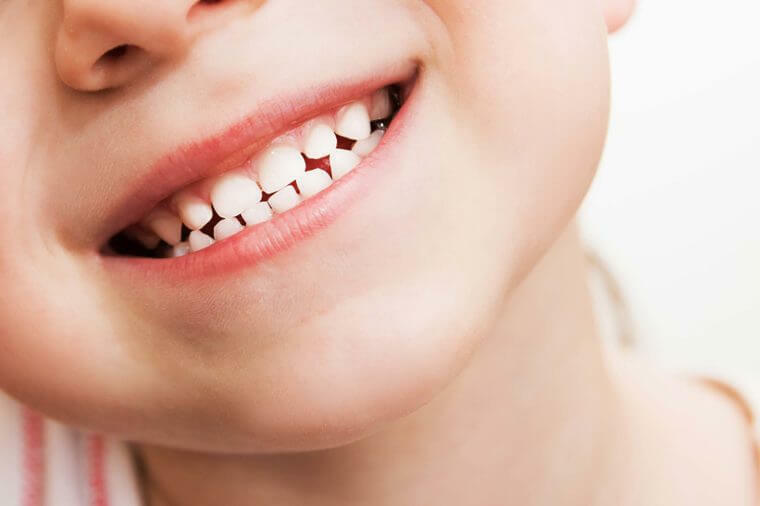 According to The Academy of Pediatric Dentistry, you should take your child to his first dental visit around his first birthday or when his first tooth comes out, whichever one comes first. Your dentist will ask a lot of questions to help you assess your child’s overall risk for developing dental issues. You will also have a chance to ask the dentist to answer any questions you have. The dentist will then do a brief checkup to see if he sees any problems or issues. When your children are small you have more control over what they eat. You can limit their intake of sugary sweets, even on Halloween. However, as they get older, start attending school, and going places with friends, you will not be there to keep an eye on them. Luckily, you can pack their lunch for school. Dr. Hansen in North Carolina, of Hansen Dentistry, reminds parents that they can pack lunches that are “convenient and far healthier for your child’s teeth and body“. It is not a bad idea to allow your children to have sugary treats once in a while. The golden rule is “everything in moderation”. If you don’t allow your children ever to have the treats that so many children (and adults) enjoy, rest assured they will sneak them and probably eat them more often than you want. Start teaching your children the importance of and how to take care of their teeth when they are young. And don’t forget, children copy what their parents do. If you show them by your actions how to practice good oral hygiene, they will learn by your example.